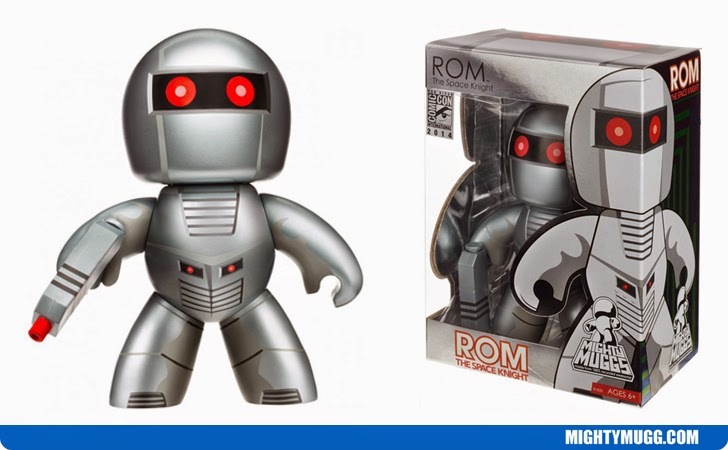 ROM: The Space Knight is a cosmic superhero who first appeared in Marvel Comics ROM #1 in December 1979 by Bill Mantlo and Sal Buscema; Frank Miller did the cover art. The heroes armor is crafted from plandanium an extremely durable metal from Galador with self repairing capabilities, similar to the concept of Wolverine. The Mighty Mugg above portrays ROM in his well known robotic look.